We offer expert dog training services that are 100% guaranteed in Mooresville. If you don’t have the time to read all the books available on dog training, but you know how important it is to teach your dog good manners, having an experienced professional on your side can be a big help. At Dogs By Andy K-9 Services, we offer expert dog training services that are 100% guaranteed, so your dog knows what is expected and you can enjoy a well-behaved pet. On/Off-Leash Training – From puppies to adult dogs, dog training on and off-leash is critical to ensuring your pet’s safety, good manners with other dogs and humans, and a more positive experience with your pet overall. We offer both on and off-leash training to ensure your canine companion knows what is expected. Personal Protection – If you would like to keep your family, your home, or your valuables safe, personal protection training is a great way to encourage the bond between you and your dog while also ensuring you are safe. We can assist you in determining if your dog is the right breed and temperament for personal protection training. 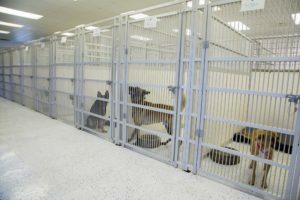 Kennel Training – If your dog needs some additional work that simply isn’t being accomplished at home using traditional methods, we offer a three-week intensive kennel training course to ensure your pet learns the proper manners and skills. This boarding program is designed to encourage proper growth in a caring and safe environment. At Dogs By Andy K-9 Services, we offer several other dog training programs, including nose work and search and detection to give you comprehensive options depending on where you would like your dog to be. Our state-of-the-art facility is designed to provide the perfect environment for play, learning, and safety and security in Mooresville, North Carolina. Contact us today to learn more about each of our excellent dog training programs. As your dog trainer in the Mooresville area, we offer many programs to assist you and your dog in achieving your goals. There are a lot of programs out there offering dog training programs – but how do you know you have found the right one? Does having the right dog trainer really make a difference in your dog’s success? Whether you are interested in basic obedience, personal protection training or recreational training, we have the dog training classes to meet your needs in the Mooresville area. Does your dog pull you down the sidewalk every morning, and you feel like you are constantly trying to catch up? 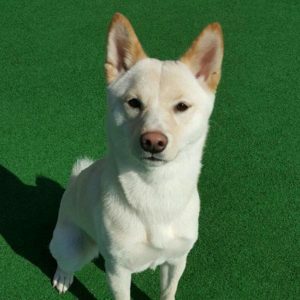 Our dog training school encourages proper growth in a caring and safe environment, so you and your dog feel that their training is a success in Mooresville. If you love watching “The Dog Whisperer” but you can never find the time to incorporate good habits with your dog at home , you may be looking for a professional dog training school where you feel you can achieve a better-mannered dog. Our dog training services are designed to teach a number of skills, so you and your pet have positive experiences in any environment in Mooresville. Have you been looking for dog training services and aren’t really sure where to turn? 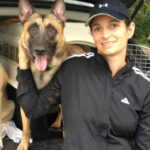 At Dogs By Andy K-9 Services, our expert dog training services are 100% guaranteed. At Dogs By Andy K-9 Services, we provide dog training for residents of Mooresville, Concord, Greensboro, Huntersville, Gastonia, and the Charlotte, North Carolina area, including Myers Park, Weddington, Ballantyne, and SouthPark.